An engagement ring is one of the most important accessories for women as it symbolizes love, commitment and the beginning of a new journey towards marriage. It is therefore important to ensure that you get it right, surprise your loved one with something they would appreciate. It is important to do your homework beforehand so that you can be acquainted on the best choice available in the market. We have put a short guide together for you to help with the process. Identifying the shape that your loved one loves. It is important to ensure that they actually appreciate a certain shape. If this is not known to you and you do not want to ruin the surprise, you choose a round or princess cut. Carat weight minimum. This is of paramount importance. Listen to what your loved one’s fantasy has been and provide the right weight. There are different sizes of carats that you can choose from. It is important to have a budget when shopping for a diamond engagement ring. This helps you to also choose the exact type of ring as you are confined within a specific budget. Diamond certification: This is very important before you can make any purchase. Ensure that the diamond is certified by labs such as Precision Gem Grading Laboratory or European Gemological Laboratory. Seek a second opinion. 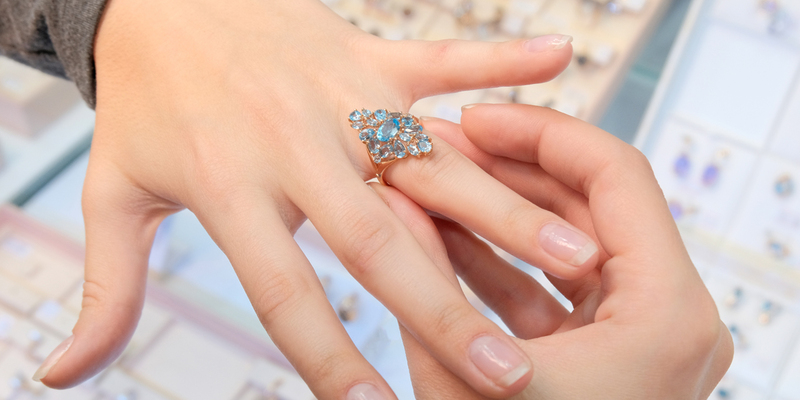 It is important to have another person giving you an opinion of the ring you would like to purchase. This will help you save on cost in case a certain vendor wants to rip you off your hard earned money. If you consider the above criteria while choosing a diamond ring, you will not go wrong. Make your partner’s dreams come true!